Virginia’s Art Deco architectural marvels are nestled throughout the Commonwealth. While some remain a beacon in the community, others have become a victim of time and neglect. Through ADSVA’s preservation program, we hope not only to increase public awareness and historic knowledge of these structures but also to work with the National Park Service to secure qualifying buildings a space on the National Register of Historic Places. A one-of-a-kind art piece by cultural icon and Jazz age cartoonist William Morgan DeBeck recently made the list of Virginia’s Top 10 Endangered Artifacts. 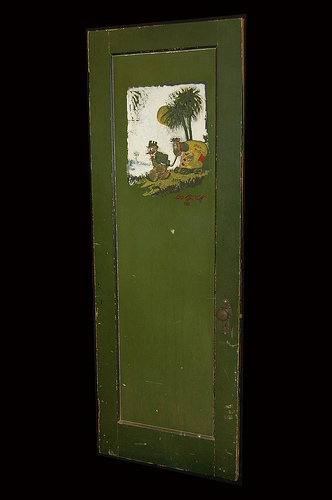 The door, which once was DeBeck’s office door, contains an original painting by the famed cartoonist. It is currently owned by VCU’s Cabell Library and is up for vote as to whether the piece should be fully restored by the Virginia Association of Museums. 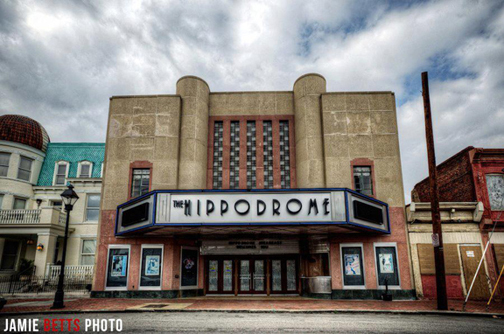 The Art Deco Society of Virginia is asking for your help to preserve this important piece of history. All you have to do is visit this page, scroll down and vote to preserve DeBeck’s door. You do not have to register and you can vote as many times as you like. Voting ends on Aug. 29, 2012. Please help us spread the word!